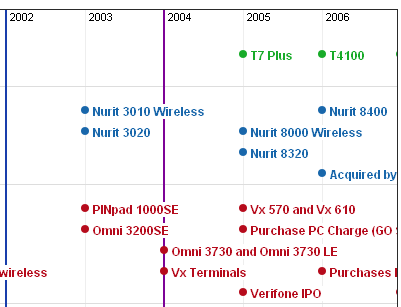 We’ve compiled a time-line history of credit card terminals in the US. So far we’ve added most terminals from major manufacturers over the past 30 years, and more will be added as we figure out when they were released. It’s quite difficult to get information on the release of many terminals as most manufacturers don’t publish historical information such as this. This is especially difficult for many of the pre-2000 terminals.